Lightweight cotton woven broadcloth fabric. 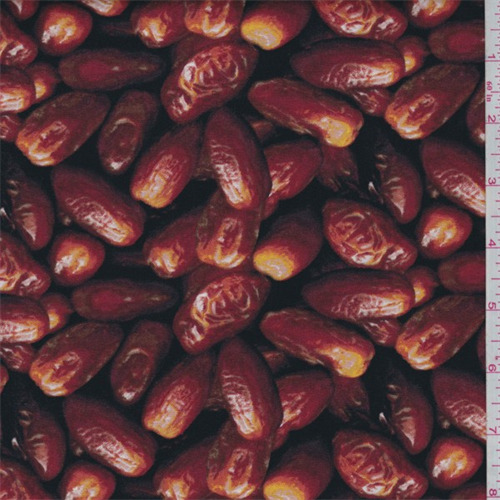 Digitally printed date fruit design. Smooth and crisp hand/feel. Suitable for apparel, crafts and home decor. Machine washable.